Join celebrated author Alan Ogden for an evening of anecdotes, humour and epic storytelling as he shares new insights about the legendary Paddy Leigh Fermor and his travels in Romania. Starting with the ‘great trudge’ on foot through Romania in 1934 and ending in 1990 with his assignment for The Daily Telegraph following the fall of Ceausescu, The Vagabond and the Princess: Patrick Leigh Fermor in Romania unravels the tapestry of fact and fiction woven by Paddy and reveals in detail the touching story of the love affair between the youthful writer and Balaşa Cantacuzino, a beautiful Romanian Princess. After a poignant parting on the eve of the Second World War, they were reunited some twenty-five years later and remained in close touch until her death. Paddy had been the great love of her life. In the book, Alan Ogden injects new understanding into the enduring and touching relationship between Paddy and Balaşaas well putting into context the glamorous lost world of pre-WW2 Romania. He will illustrate his talk with a collection of rarely seen images from the lives of Paddy Leigh Fermor, Georges Cantacuzino and Matila Ghyka. 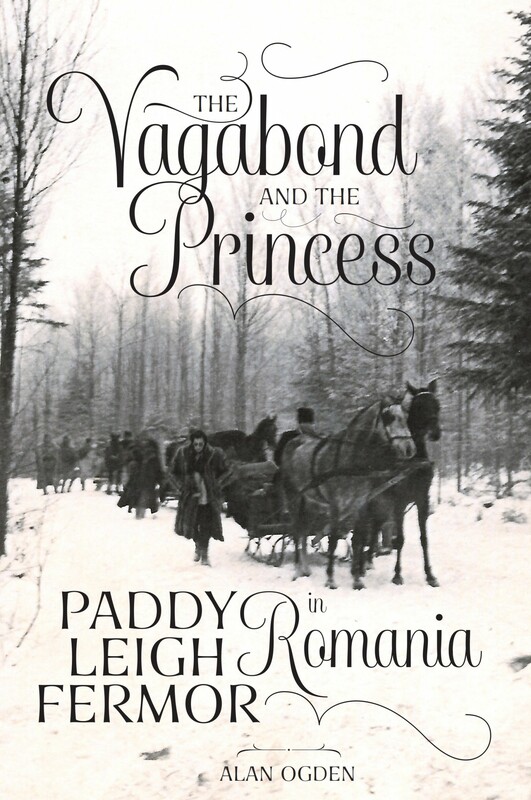 Signed copies of The Vagabond and the Princess: Patrick Leigh Fermor in Romania will be available on the evening, as we continue the conversation over wine until 9:15 pm. After a long and enjoyable stint in international advertising and public relations, Alan Ogden decided to change direction and write about the history and culture of Eastern Europe.